Comments: A semi-evergreen plant zone 7, but evergreen further south. Lives in brackish water. A native prolific self-seeder. Male and female flowers on separate plants and are very showy in autumn. 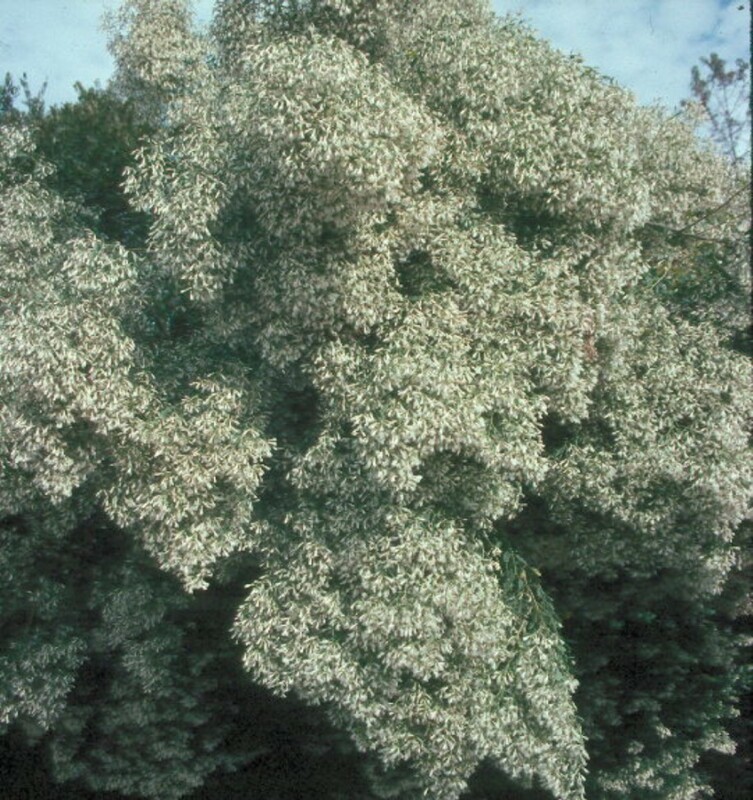 Plants grow to be very large shrubs or even small tree forms, somewhat similar to wax myrtle. Can tolerate a wide range of growing conditions from wet to dry. Blooms about the same time in fall as goldenrod, ironweed, wild aster, wild sunflowers, and other fall blooming wildflowers.